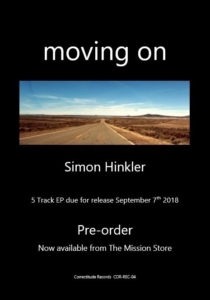 Simon Hinkler will be releasing a solo EP, Moving On, 7th September 2018! Simon began his musical career in the early 1980’s Sheffield, first with Artery, with whom he recorded two albums, two John Peel sessions, and a handful of singles. Then with Pulp, playing guitar, piano, bass and co-writing their first album “It.” A spell as a resident studio engineer led to an experimental album “Flight Commander Solitude” on which Simon wrote all the music and played all the instruments… a rare thing in those days. Then in 1985 he returned to Artery, playing rock guitar until he was asked to audition for a new band forming in Leeds, later to become The Mission. Since then he has returned to live in the UK after thirteen years in the US and reunited with The Mission for their 25th anniversary followed by a celebrated run of world tours, two new albums, a 30th anniversary, and most recently guesting on Alice Cooper’s five UK arena shows. 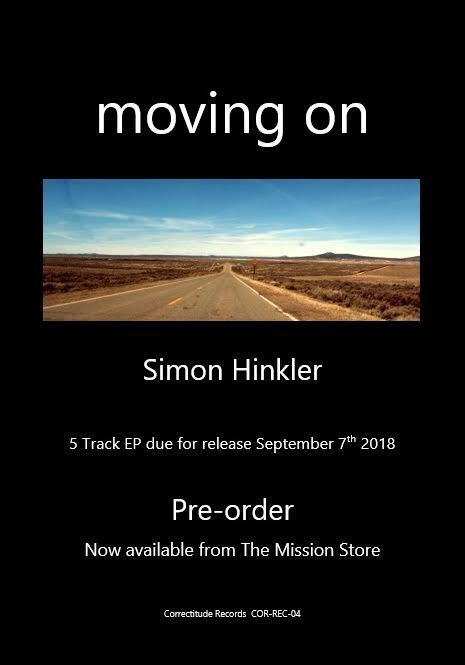 Listen here to a sample of this great EP!